Welcome to the StickerBombStore.com! We are your #1 spot for anything and everything Sticker bomb. You can find anything from Vinyl Wraps to T shirts and more all powered by Amazon.com. 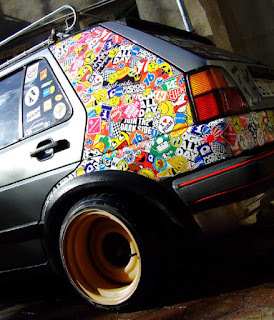 So stop and take a look at our website and immerse yourselves in the creative world of Sticker Bombing!